PoliticsPA spoke with more than two dozen sources with knowledge of the upcoming reapportionment fight including lawmakers, consultants, reformers and more. Some were granted anonymity. Pennsylvania’s next state-level redistricting is four years away, but the hands have already been dealt. A durable majority on the Pa. Supreme Court gives Democrats the trump card: the tie-breaking vote on the panel that draws state House and Senate maps. For the first time since 1990 Democrats will have the advantage during the redraw, which for state House and Senate districts is called reapportionment instead of redistricting. At the same time, Republicans have the ability to change the process. Amendments to the Pennsylvania state constitution can pass on a party-line vote in the legislature and aren’t subject to a governor’s veto – just a voter referendum. Control of the once-per-decade map drawing is a boon for whichever party holds the tie-breaking vote. But Democrats couldn’t have asked for a better time. An amendment to shrink the state House from 203 members down to 151 is making incumbents nervous – especially Republicans – at the prospect of unprecedented change. The shrink-the-legislature issue has been a conservative talking point for years and the proposed amendment passed both chambers in 2016 with near-universal GOP support. It’s expected to come up – and pass – again this session. Pending a ballot referendum, it will take effect to coincide with the 2020 census and the start of the map-making process in 2021. “What are they thinking?” asked a Democratic lawmaker. Everyone in the House who has the power to move the amendment – or stop it – is already listed as a co-sponsor, including Speaker Mike Turzai, Majority Leader Dave Reed and committee chairman Daryl Metcalfe. While there is not a whip operation pushing an imminent vote, it could move any time. “My guess is that this will happen. I don’t think reapportionment will reduce interest in this reform the least bit,” said House GOP spokesman Stephen Miskin. How does it impact reapportionment? In past decades, a gentleman’s agreement held that incumbents were the keystone of the process: with few exceptions, map-drawers based new districts around current incumbents. The proposal to shrink the legislature would put 52 incumbent districts on the chopping block on day one – in a year that Democrats hold the axe. The number is far more than the 15-20 incumbents who retire in an average cycle. The traditional benefit of incumbency would be weaker than ever before. The state Senate GOP will face the usual partisan implications of reapportionment, but the shrinking proposal does not affect that chamber. Sources indicate the amendment would pass again, as long as it is moved first by the House and isn’t amended to also impact the Senate. (Meaning, someone aiming to sabotage the amendment would only need to change it slightly from its 2016 form. If that happens, it would nullify last session’s vote and start the process over). 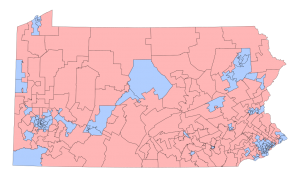 Pennsylvania House and Senate districts are drawn by the 5-member Legislative Reapportionment Commission (LRC). Four LRC members are the majority and minority leaders of both chambers: two Democrats and two Republicans. If they can’t agree on a fifth member, per the state Constitution, a majority on the Pa. Supreme Court makes the choice. In 2000 and 2010, a GOP-majority Supreme Court appointed a GOP-friendly tiebreaker. This time, it’s the Democrats’ turn. As of today, congressional redistricting is not impacted by the LRC. Those districts are developed just like a normal bill: passed by the legislature and signed – or vetoed – by the governor. Reformers propose combining the congressional and state redistricting processes. The key questions for Republicans are: will the tactical situation make them more receptive to reapportionment reform? And will it dampen their zeal to shrink the legislature? There is no better example of the power of good maps than Pennsylvania. After the nationwide Republican wave in 2010 (and statewide court victories in 2009), the party controlled the levers of state map-drawing in 2011. The result is historic GOP majorities in the state House and Senate. The new lines were delayed until 2014 because a successful court challenge got the first draft of the maps thrown out. (The decision created a chaotic period with 2012 candidates circulating nominating petitions in districts that were nullified days later). But today, the impact of the new maps is clear: Republicans maximized their gains. In the state House: Democrats had a 104-to-99 majority after 2008. In 2010, the GOP won a 112-to-91 majority. After 2014, the first election cycle with the new map, the Republican majority grew to 119-to-84. Today, it is historically one-sided: 121 Republicans. The GOP had a 27-to-23 state Senate majority before the new map took effect. The state Senate elects half of its members in alternating four-year cycles, meaning the full picture could only be seen after the 2014 and 2016 campaigns. Today the GOP has a veto-proof 34-to-16 Senate majority. There are big caveats to the story. Notably, the maps were bipartisan: Democratic Minority Leader Frank Dermody voted in favor of the plan. (Senate Minority Leader Jay Costa voted no, and his caucus was a party to the court challenge that saw the first draft of the maps thrown out – by a GOP-led court). Second, the court-appointed tie-breaking vote, Judge Stephen McEwen, was not purely a partisan functionary. He sided with the GOP on most behind-the-scenes questions, like which districts to move and how many. But he also opposed the GOP on a few issues such as how many Senate seats to move, according to people in the room. He emphasized a desire for a bipartisan consensus. (That said, his presence on the LRC unquestionably boosted Republicans’ negotiating position). Third, reapportionment naturally disadvantages Democrats because their voters tend to concentrate in urban areas. Plus the Voting Rights Act mandates the existence of majority-minority districts, which tend to include a high percentage of Democratic voters. But finally, and most importantly, all sides acknowledge that the Republican campaign infrastructure for state House and Senate campaigns – recruiting, organizing, funding – is significantly superior to Democrats. There’s no better example than trending-blue Chester County. There, GOP map-drawers worked to shore up vulnerable incumbents by packing as many Democrats as possible into the newly formed 74th House district. To secure five Republicans, they would sacrifice one seat to Democrats. [Twenty-seven] House Democratic lawmakers were just as stingy, contributing nothing to the House Democratic Campaign Committee, which raises money to defend vulnerable incumbents and to recruit and fund newcomers. In contrast, all but eight Republicans donated to the House Republican Campaign Committee, according to internal spreadsheets of both committees reviewed by The Morning Call. There’s little surprise, then, that the HDCC has $1.9 million heading into the next election cycle, while the RDCC has $6 million in its coffers. Senate Democrats are similarly outgunned. 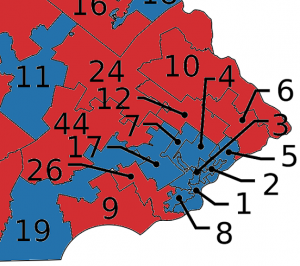 Both sides acknowledge that the maps matter, but no one PoliticsPA spoke to on either side of the aisle believes they account solely for Republican majorities in the House and Senate. Asked for specific estimates, Democratic insiders on average said the favorable maps account for 12 GOP House members and 5 GOP Senators. Republicans put those numbers closer to 5 and 3, respectively. But if 2010 was the most important election this decade, second place belongs to 2015. That year, Democrats went 3-for-3 in the Pa. Supreme Court races. With the Court majority, they gained the upper hand in 2021 reapportionment. As of today Democrats are guaranteed to have at least four of seven seats. That number goes to five if Justice Debra Todd is retained in November (and just one Pa. justice has ever failed a retention vote). It could go up to six if Dems win the open Supreme Court seat this year. Only a death, retirement or indictment can change the math. It’s not impossible. The fact that the Supreme Court was even in play at all followed a chaotic four-year period where one GOP justice was convicted for illegal campaign activity, another was forced to retire due to a constitutional age limit (just months before voters agreed to increase the limit via referendum), and a third was forced out in the porngate scandal. (A fourth justice, a Democrat, was also forced out in the porngate scandal.) But a repeat is unlikely. All four caucuses are basing their plans on the assumption of a Dem-led Court. The 2015 campaign was not an accident. In their messages to voters, donors, activists and everyone, Democrats trumpeted the importance of the judicial races for reapportionment in 2021. It was everything that reform-minded Democrats detest: special interests dictating the terms of backroom politics in the most expensive state Supreme Court race in American history. It worked. They won. Now Democrats are in the driver’s seat. But what do pro-reform Democrats think about it? And could they be joined by Republicans who now have a political incentive to change the process? Redistricting reform has been a priority for Democrats since 2010. President Obama frequently attributed partisan gridlock to gerrymandered congressional maps, and his argument has a friend in Pennsylvania. Democrats had 12 of 19 congressional seats after 2008 and dropped to 7 of 19 after 2010. When the new maps took effect in 2012, Dems’ number fell to 5 of 18 and stayed there since. After 2016, facing the reality of united Republican government at the federal level, liberals are seizing on the cause with new zeal. Non-partisan reformers are waiting with open arms. 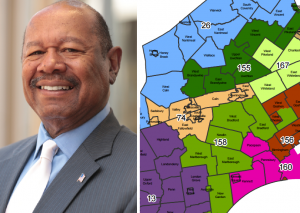 Fair Districts PA, a project of the League of Women Voters and Common Cause, has long pushed to change the map drawing process for state and congressional districts. It is funded by individual donations and not affiliated with national Democratic efforts like the National Democratic Redistricting Committee (the Obama effort) or Advantage 2020. Carol Kuniholm is Chair of Fair Districts PA and knows the odds are against reform. Her argument goes deeper than the oft-quoted idiom that voters should choose their politicians, not the other way around. She says most lawmakers have something to gain from reform because the current rules give party leaders ultimate say. “Party leaders on both sides use the process to punish rank and file members. They’re the ones that don’t want to give up power,” she said. She sees the effort to shrink the legislature as a major opening. “My argument to lawmakers in both parties is, the legislature is about to get smaller and one fourth of incumbents are going to lose their seats. Do they want that to be in the hands of the party leaders, or do they want that to be an independent process?” she asks. The Fair Districts PA proposal, introduced this month as bipartisan Senate Bill 22, would fold congressional map-drawing into the same process as state House and Senate maps. It would take the process out of the LRC’s hands and empanel an 11-member group of citizens. They would be 4 Democrats, 4 Republicans, and 3 non-party or third-party voters selected at random by computer out of the pool of applicants. The computer would be programed to aim for a representative geographic and demographic balance. Lawmakers, and legislative employees, would be ineligible. The final product would need to have at least one supporter from each of the three partisan groups. Kuniholm warns incumbents on both sides that in 2010, Pennsylvania’s loose campaign finance laws created a window for a coordinated national GOP effort called REDMAP to target Democratic incumbents in the runup to the state and congressional redraw. A Democratic counterpart is equally feasible. “Democrats already have three redistricting groups. Republicans have two. I tell them, you don’t want to be that next target,” she said. David Parker is a victim of the current process. He was elected to the state House in 2014 and became the lead Republican sponsor of the Fair Districts PA legislation. A businessman with deep family roots in Monroe County, he overcame the odds to win a seat drawn for Democrats (the 115th district was designed to contain thousands of New York City-area transplants and Stroudsburg University students). He lost in November. Parker says the appetite for reform among Republicans he served with in the House is limited, but in the end it would be better for constituents. More competitive districts can benefit incumbents, says Rep. Nick Miccarelli, a Republican representing a swing district in Delaware County. “I think having to represent many Democrats and Republicans makes an elected official better because it makes you more understanding. It forces you to hear both sides, even if you don’t like one side or the other,” he said. Parker and Kuniholm agree that it will take a constant drumbeat of public demand and grassroots organizing to make the issue a priority. So far, it’s happening. 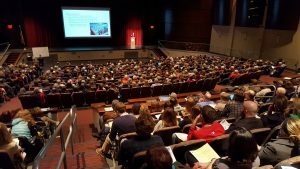 Thousands of supporters have packed dozens of Fair Districts PA events in recent weeks. But the headwinds are strong. Not one of the sources PoliticsPA spoke to for this story, including several avid supporters of reform, expects it to take effect before 2021. Because the proposal amends the Pa. constitution, it must pass both chambers in back-to-back sessions then pass a voter referendum. Theoretically it would be possible to pass an amendment in the 2019-2020 session and again in early 2021, but that would put it on untraveled ground constitutionally speaking. Most stakeholders view July 2018 as the cutoff for reapportionment reform to be in effect by 2021. So far there is no indication of a groundswell of rank and file resentment that would foreshadow a rebellion against leadership in favor of nonpartisan reform. That raises the question: how are Republicans preparing for 2021? Could the party join forces with reformers? Or could they pursue a partisan version of reform to deny the Democrats’ advantage? So far, the answer looks like no. Republican opinions are split, but the majority PoliticsPA spoke to expressed some variation of the idea that the devil they know is better than the devil they don’t. “We’re supposed to put this in the hands of God knows who using God knows what criteria? No thank you,” blasted a GOP lawmaker. Republicans believe that the current process, even controlled by Democrats, is preferable to a nonpartisan arrangement where incumbency offers no protection whatsoever. If new districts are drawn around sitting incumbents as they have been in the past, the GOP would start off 2022 with a built-in edge because of their current majorities. If new districts don’t consider incumbency, on the other hand, lawmakers fear a free-for-all. “If you think these guys are difficult to deal with when they’re talking about changing their pensions, just wait until you try to change their districts,” quipped a GOP state Rep. In the 2012 court battle, reformers argued that there was no legal requirement for map-drawers to build around sitting incumbents. If new maps created a raft of open seats and forced member-vs-member contests, so be it. Republicans argued back that incumbent consideration was implied by the fact that legislative leaders were 4 of 5 LRC votes. The court sided with the GOP by affirming the final maps. Behind the scenes, Republicans strike a conciliatory note about the existing reapportionment process. They emphasize the fact that the Supreme Court isn’t guaranteed to be a factor because the two Republicans and two Democrats could come to an agreement on the 5th LRC member, such as a neutral jurist or even-handed democrat. If the Supreme Court does pick the number five, they note that there is no guarantee that the person would be a partisan warrior. When asked about prospect of a neutral candidate, Democrats chuckle and note that the GOP happily benefited from a partisan majority on the LRC in the past two redraws. Could the GOP try to push a partisan change to the reapportionment process to remove Democrats’ advantage? Say, by replacing the 5th LRC member with the (Republican) Speaker of the House? PoliticsPA couldn’t find any indication such a move is likely. Even if the GOP makes an attempt, it would be a long shot. Like other reform amendments, it would need to pass both chambers in back-to-back sessions then pass a voter referendum. Bruce Ledewitz is a professor at the Duquesne University School of Law and an expert on the Pennsylvania constitution. “First of all, passing an amendment is hard. People think just because you don’t need a supermajority in the legislature that it will be easy. But there is a reason they are not more common,” he said. Even if it gets to referendum stage, there’s no guarantee it would pass given the strong opposition it would almost certainly face. Ledewitz said he can’t remember a ballot referendum ever being opposed by a concerted campaign or television ads. And while the Governor does not have the ability to veto an amendment, the Secretary of the Commonwealth gets to draft the referendum question along with the Attorney General. Could they sabotage an amendment referendum? With a practical deadline of July 2018, the GOP would have no guarantee of controlling either the governor’s mansion or the AG’s office. Finally, for all the effort, there’s no guarantee that Republicans would benefit from the change in 2030. “To seek a permanent constitution amendment for what is essentially a tactical situation, I don’t think that is going to fly,” Ledewitz said. Perhaps most significant of all, the worst case scenario for Republicans under the status quo is not terribly frightening. It would take Democrats years to regain what they’ve lost in both chambers, even with maps that are as favorable for them as the current ones are for Republicans. And Dems will be constrained by the same rules Republicans faced: districts must be compact, contiguous, group communities of interest, avoid municipal splits, etc. Plus, Democrats could chicken out. If Democratic members are in self-preservation mode after several losing cycles, they could pressure leaders to protect incumbents rather than expand the map. If Democrats make it a priority to win the majority in both chambers, rather than simply protecting incumbents, there are several ways they can use the upcoming process to do so. The low-hanging fruit are tactics widely used by both parties across the country: pack as many Republicans into a single district as possible; dilute concentrated Democratic voters into more competitive districts; shore up vulnerable incumbents by adding more Democrats to their districts; etc. “If you gave me the pen tomorrow, within the same rules, I could draw enough safe Democratic seats to give our party the majority for a decade,” said one Democratic state Rep.
Democrats’ strongest opportunities are in southeastern PA, where most of the state’s population growth has taken place since 2010. When deciding which districts to move from areas of population decline (ie. western and central Pa.) to areas of population growth (ie. eastern and south central Pa.), Democrats can move Republican-held districts and force GOP incumbents to face off in member-vs-member primaries. State Senate Districts by number and party control. 6 of 7 GOP-held seats are up in non-presidential election years. A number of popular, labor-friendly SEPA Republican incumbents have flummoxed challengers for years. Democrats can add more Democratic voters to those districts, so that the next wave election, presidential year, or incumbent retirement would flip the seat – or at least force Republicans to spend money on defense. One tactic being discussed by Democrats is a matter of odds and evens. Since PA Senate seats are elected on alternating terms, odd-numbered seats are up in presidential election years where Dem turnout tends to be higher. Even-numbered seats are up in gubernatorial years, which tend to favor the GOP. Right now, seven Republicans represent the trending-blue Philly suburbs. Six of them are in even-numbered, non-presidential seats. Any one of them might flip to Democrats in a presidential year. As Democrats consider how to add a new Senate district to the suburbs, they could make sure it is an odd-numbered district. To make room, they could rearrange existing districts that results in their numbers switching from even to odd. There are no rules governing district numbers. Republicans could challenge the number switches, arguing that it would be disruptive to force incumbent GOP Senators to run for re-election after only two years. The argument would go before the Democratic-majority Supreme Court. Both parties now face a test: what wins in a contest between the idealism of reform and the practicality of politics? State Rep. Jerry Knowles (R-Schuylkill) is the sponsor of the shrink-the-legislature amendment this session as he was last session. He is keenly aware that some colleagues would prefer to see the proposal disappear. But he says some things are more important than short-term political gain. “I have heard the arguments and concerns, but I believe it’s a good bill. I’m doing it for the reason that I think it’s the right thing to do. In good conscience, what am I going to do? Pull the plug? The people of Pennsylvania should make the final decision,” he said. Everyone PoliticsPA spoke to believes the amendment would win a public referendum in a landslide. It passed the state House last year 139-to-56 and the Senate 43-to-6. Only eight and two Republicans voted no, respectively. For Democrats, who have the upper hand, will the party’s support for redistricting reform end at the Pennsylvania state lines? State Rep. Mike Schlossberg (D-Lehigh) co-sponsored the Fair Districts PA bill in the House last session and will sign on again this year. “Reform is the right thing to do. Beyond that, it’s good for Democrats in the long term because I believe our party can win districts that accurately reflect voter interests,” he said. Four years is a lifetime in politics. There is no way to know who will be majority or minority leaders in 2021. The personalities, and strategies, could change. The U.S. Supreme Court could impose a limit on partisan gerrymandering. And whether the legislature shrinks, or reapportionment is reformed by 2021, 2031 – or ever – is an open question. “When people tell me this is a long shot, my response is: I’m from the League of Women Voters,” Kuniholm said. 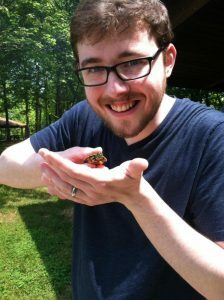 Keegan Gibson was Managing Editor of PoliticsPA from 2010 to 2013. I read Keegan Gibson’s article with quite a bit of interest. It is certainly well-researched and goes into a quite a bit of detail in discussing possible changes and their likelihood. However, after re-reading it a couple of times I have my doubts as to whether how much change is actually likely. Do the Democrats really hold the cards? Come 2020 the Republicans will have had five years to prepare for any changes. That’s a lot of time to stall or derail any reform efforts they believe could threaten the established order. Certainly the Republican leadership in both houses is concerned over anything that could trigger major changes giving the Democrats any significant gains. This includes any move to reduce the size of the state Senate and House of Representatives, which could favor the Democrats and even give them control. Contrary to State Rep. Knowles, the issue is not about short-term politics but whether or not the state flips to the Democratic party. Republicans in the legislature are likely to whatever they can to delay any moves to change the current system. And Republican control of both houses will allow them to continue to manipulate the current system to their advantage. Little is likely to be done at the state level until after the 2018 elections. And quite possibly little will be done afterwards. On the other hand, the likely loss of up to two Congressional seats will have to be dealt with. But this is another contest that will wait until after 2018 as well. And the 2020 election could well be a factor in the ultimate line-drawing. And smart money in Harrisburg says that politicians and not computers will be the ones to do it. You can join Fair Districts PA here http://www.fairdistrictspa.com Left click on “Join Us” on the upper right hand corner. Please share your email address so you receive alerts. You can always unsubscribe. Note: I don’t care for the snarky clip that plays as soon as you reach the home page. This is an excellent and rational work product by Mr. Gibson and should be studied by all who wish to have equal and fairer elections in PA. Political slight of hand is no what to get our republic to work for the governed. I’m sure it was a fascinating piece, but once I read the first ten million words I lost interest. In fact, the Pennsylvania refers to the “Legislative Reapportionment Commission,” but that is a misnomer. Reapportionment is the change of representatives apportioned to each state. In turn, each state redistricts based upon the number of representatives apportioned to it. In the case of state legislatures, there is no apportionment of representation to counties or other political subdivisions, only the change of districts to achieve population equality. My compliments to the chef. One of the best pieces anywhere on this topic. I hope it gets picked up by the statewide NPR outlets. Gerrymandering is more dangerous to elections than the Russians. Great piece, Keegan! Hope to see more posts from you in the future. Excellent, in-depth piece on a complex topic with lots of moving parts. Great to see the necessary column inches devoted to this issue. Very well done! in-depth discussion and multiple points of view on this important issue. First of all, let’s change the districts and stop the gerrymandering. Gerrymandering is more dangerous to our democracy than anything the Russians did during the last federal election. Districts should be drawn by a Geographic Information System, after a bi-partisan decision as to the parameters for the system to do its work.